Harold Lilly put his special spin on every song he played at the College's Spring Concert. Dr. Lilly is a master of the Hammond B-3 organ. A native of Richmond, Lilly is a favorite at the Folk Festival and is well-known in the area for his lively and moving performances. Dr. Lilly presented a range of selections including patriotic, sacred, gospel, classical and even gave a nod to Peter Cottontail for the children in the audience with his masterful “Lilly touch." One concert attendee was mesmerized by his footwork on the pedals as he moved from selection to selection. Requests from the audience were taken. As Dr. Lilly asked, "How do you want it - the regular way or the Lilly way?" The audience shouted back, "the Lilly way." The evening closed with Sam Cooke’s, A Change is Gonna Come, that included two members of the audience who joined Dr. Lilly on stage. Reynolds own faculty, staff and students also performed at the concert. Opening acts included JSRCC Academic Support Center’s Khang Nguyen on piano, student David Ruddock on trumpet, instructor Jewel Booker with her gospel band, Jewel Booker and Company, and the J.J. Neblett Brothers, an a cappella trio featuring Bruce Neblett from the Reynolds facilities department. JSRCC celebrated Earth Day with simultaneous pep rallies on each campus, featuring live remotes from 96.5 KLR - Richmond's classic rock station. The College is also kicking off its new recycling program and is encouraging faculty, staff and students to conserve resources on campus as well as at home. Giveaways included JSRCC organic cotton t-shirts, coffee mugs and seed packets in honor of Earth Week. "Earth Week reminds us to appreciate our global home, to assess its health and how it is changing," said JSRCC Director of Marketing and Public Relations Malcolm Holmes. "One of the most visible ways to help this cause is to recycle." Last year the College Sustainability Committee began meeting to explore ways the College could become a good global citizen for the environment; to provide information and training to faculty and staff, and to raise awareness of how the College and its employees might contribute to a cleaner and healthier environment. 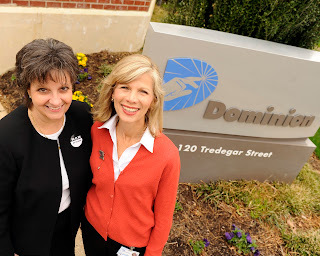 Dominion Resources has earned the 2011 Chancellor’s Award for Leadership in Philanthropy. Dominion was nominated for the award by J. Sargeant Reynolds Community College. The award was given at a luncheon ceremony at the Country Club of Virginia on Tuesday, April 19. Dominion has made a deep impact on the College’s instructional capacity, providing close to a quarter of a million dollars to JSRCC to fund a range of projects from scholarships to teacher education programs. 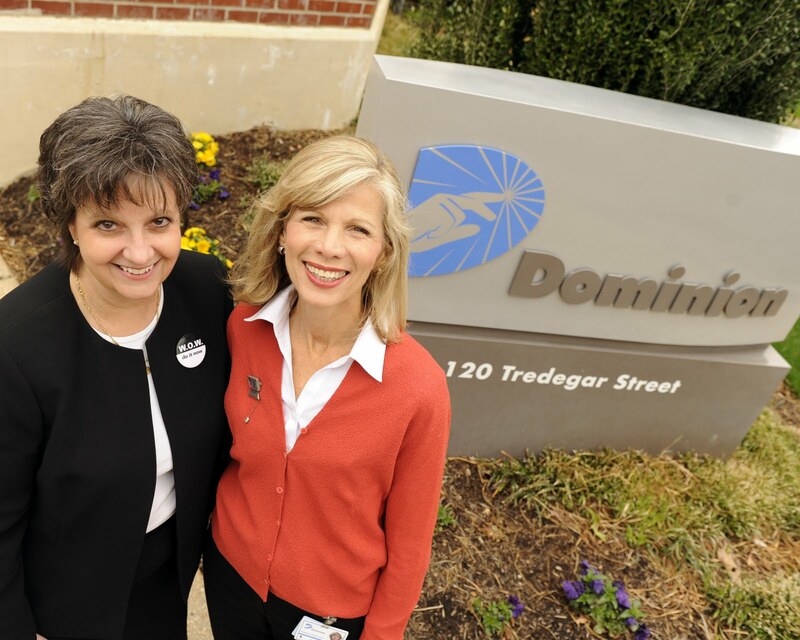 Dominion’s recent grant for science laboratory renovations on the College’s Downtown Campus will transform the science facilities into one of the best-equipped in the region. Margaret E. “Lyn” McDermid, senior vice president-Information Technology & chief information officer and Gianna Clark, vice president of Customer Operations, provide their guidance and enthusiasm to the JSRCC Educational Foundation Board. 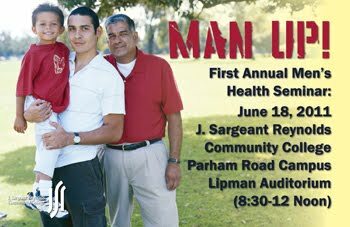 The centerpiece of Men’s Health Month is National Men’s Health week, a special awareness period passed by Congress and signed into law by President Bill Clinton on May 31, 1994. Attend the event and learn grooming and styling tips from the experts at Nordstrom. Those attending may leave with some great prizes, but you must be present to win! The JSRCC Western Campus recently hosted the 2nd Annual Open House entitled “The Greening of Gardens and Automobiles.” Faculty offered “green” tips and tricks for DIY auto maintenance and garden care. Presentations included information on planting a garden, DIY auto maintenance, the future of hybrid vehicles, welding for beginners, and eye safety. The JSRCC Department of Police also offered “fatal vision” goggle experiments – where special goggles were used to create a virtual intoxicated DUI roadside test. Attendees toured the campus and stayed for lunch. Raffle winners went home with flowers from the JSRCC Horticulture program, a welded sculpture from the Welding program, vouchers for automobile maintenance from the Automotive program, and much more. Western Campus faculty and staff offered this event in conjunction with the JSRCC Office of Student Life, Office of Outreach and Recruitment and the Learning Environment Steering Committee. 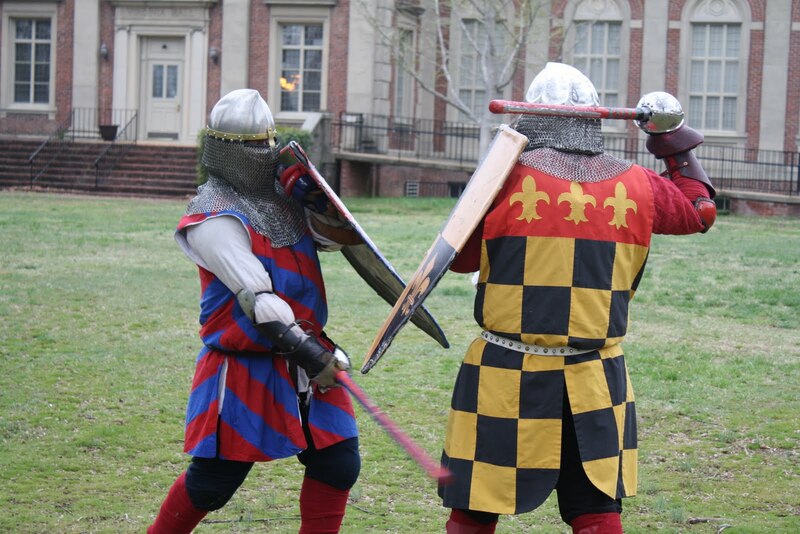 JSRCC’s Ginter Park Center buildings (on the grounds of Union Presbyterian Seminary) were the perfect backdrop for fencing knights and Estampie dance lessons during the College’s first-ever Medieval Day. JSRCC, in conjunction with the local chapter of the Society of Creative Anachronism, coordinated the day’s events. 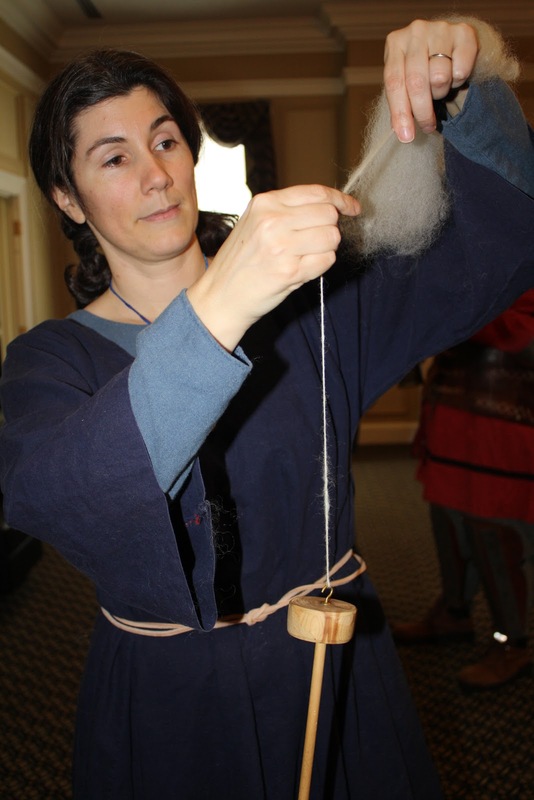 Members dressed in clothing of the Middle Ages offered classes and demonstrations in spinning, weaving, jewelry making, juggling, armored fighting, calligraphy and medieval games. Attendees also enjoyed a menu of traditional Medieval food including chicken, rice, almond casserole, fresh bread, cheese and sausages. JSRCC instructors offered a schedule of short lectures throughout the day – covering topics such as the plague, Middle English, the Crusades, Gothic art, literature, Vikings, and Medieval philosophy. Students were encouraged to become a “Reynolds Champion Knight” to win a prize. They picked up a “passport” at the beginning of the day and received a sticker for every activity they completed. Visit the website for Medieval Day happenings. Coordinator for Information Literacy and Digital Services Hong Wu led the most recent “Around the World Through Books” discussion on Yiyun Lee’s A Thousand Years of Good Prayers – a book of stories set in China and among Chinese-Americans in the U.S. that explores faith, communism, marriage, divorce, politics and history. The “Around the World Through Books” series of discussions are free community events sponsored by JSRCC’s Multicultural Enrichment Council (MEC) for the purpose of encouraging cultural diversity throughout the Reynolds campuses and communities. Discussions are offered during the spring and fall semesters. 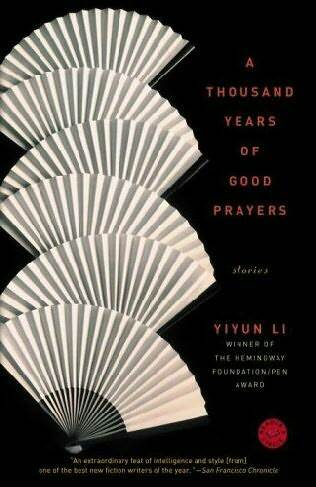 It is not uncommon for the MEC to schedule authors to lead discussions. Author Ariel Glucklich led the last discussion on his book Dying for Heaving. More than 200 JSRCC students and area high school students attended the 7th Annual Science Night at the College. Discussion topics included fascinating insights to human evolution, evidence of life preserved in fossils, and the anatomy of the first line of human defense – skin. Assistant Professor of Biology William Mott presented “Enjoy the Skin that You’re In,” Associate Professor of Geology David Walz presented “Fossils: The History of Life in the Geologic Record,” and Assistant Professor of Biology, Dr. Bryan Rhodes presented “Becoming Human: Recent Advances in Human Evolution.” Professor Shalini Upadhyaya assisted in coordinating the event and handled the refreshments.